Architect mobile applications from the ground up, with a focus on extensibility, maintainability, and scalability. Writing standards-compliant device compatible code, fixing and resolving bugs/defects and contributing to the functional design and architecture of customer-facing, high trafficked mobile Android applications. Collaborate with a diverse group of architects, quality analysts, designers, developers to deliver robust mobile solutions that showcase our brand. Provide full mobile application development life cycle support, including creating specifications, researching products, development, customized coding, quality assurance and deployment. Create compelling mobile device specific user interfaces and experience, and document your work. 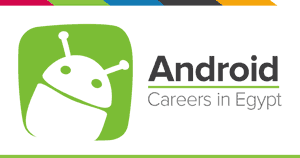 3+ years in Android application development with very good knowledge of the Android build system. 3+ years proficient experience in fundamentals of object-oriented design, data structures, algorithm design, problem solving and complexity analysis. Experience in entire app life cycle concept, design, build, deploy, test, release to play store. Experience with Android application frameworks (e.g. app components like Fragments, Services, Loaders and Content Providers, Cursors, Recycler Views, etc.). Excellent experience in Kotlin and Java. Excellent experience in Android design layouts, material design principles, and interface guidelines. Accuracy and attention to detail, and ability to write clean code – Important. Excellent experience in Mobile Design Patterns, and best practices. Excellent in mobile apps performance and security techniques and updates. Experience integrating with third party SDK’s and server side API. Can handle work stress and pressure. Experienced in continuing to working on other developers work.